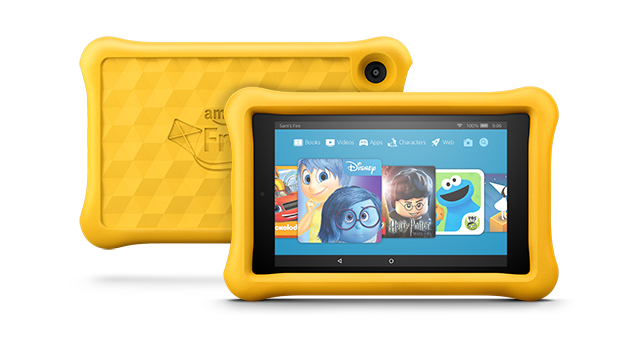 The all-new family of Fire tablets brings a first-class entertainment experience with an updated user interface, deep integration of Amazon-exclusive services, and hundreds of new and upgraded feature and platform updates. Amazon's developer tools empower you to create an immersive experience that connects with and entertains your audience. Publish your existing app or game, or build something new today. 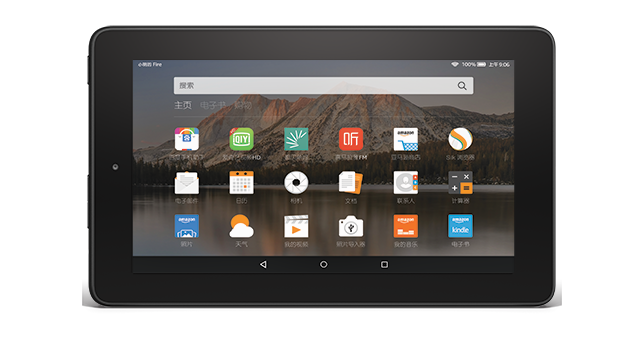 The home screen includes dedicated content pages for books, apps and games, video, music, audiobooks, and periodicals—each page presents an engaging layout akin to the beautiful pages of a magazine, making apps and games the center of the tablet experience. Within the Amazon Appstore experience, we have replaced the static menu of apps with a dynamic content list that is personalized for each individual customer. 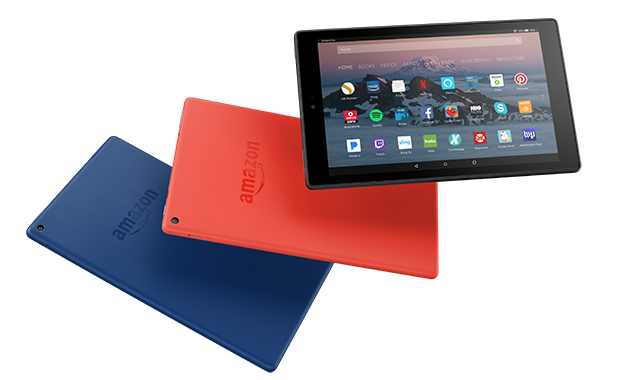 Amazon Fire HD 8, a fast performance tablet featuring a vibrant 8” 1280 x 800 high-definition display with over one million pixels (189 ppi), creating a bright, vivid picture. Enjoy movies and games in a crisp, clear HD resolution, with less glare and more brightness thanks to a stunning IPS LCD display. 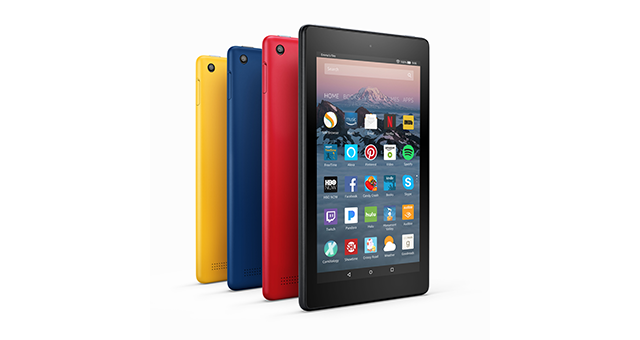 The Fire HD 8 has a powerful 1.3 GHz quad-core processor, 1.5 GB RAM, Dolby audio, and up to 10 hours of battery life—made for all-day entertainment. Now with always-ready, hands-free access to Alexa, you can play your favorite movies, TV shows and music, make a video call with friends and family, launch apps and games, read audiobooks, and more—just ask. 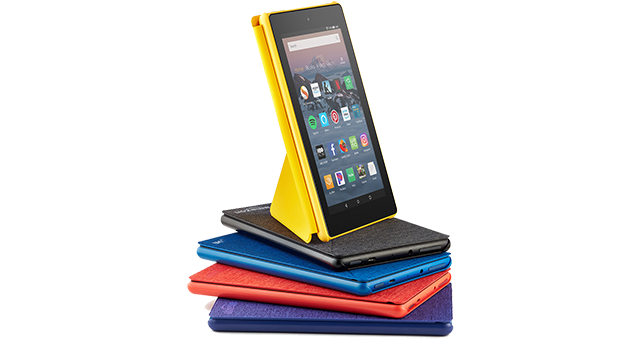 Fire 7 Tablet features a 1024 x 600 IPS display with 171 ppi for a bright picture with vivid colors, providing a great viewing experience from all angles. Compared to previous generations, Fire 7 features an improved display that provides higher contrast and sharper text. The fast quad-core processor consists of 4 high-performance 1.3 GHz cores for quick app launches, smooth games and videos, and great overall performance.